The Court of Appeal has okayed the recall process of Senator Dino Melaye, representing Kogi West senatorial District of Kogi state. 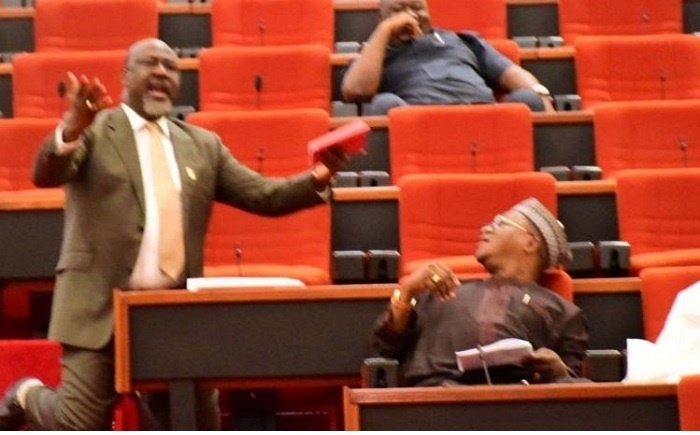 The Court of Appeal in Abuja has dismissed the appeal by Senator Dino Melaye seeking to stop the Independent National Electoral Commission (INEC) from beginning his recall process. A Federal High Court, Abuja had in September 2107 given INEC the nod to begin Melaye’s recall process. Not satisfied with the judgement, Senator Melaye lodged an appeal court of appeal to challenge the judgement of the court. The lawmaker representing Kogi West Senatorial District had argued in his appeal motion that the lower court lacked jurisdiction to try the case. A judgment by a two-member panel of the Court of Appeal led by Justice Mohammed Mustapha, ruled that there is no time limit to complete the recall process as provided in Section 69 (b) of the 1999 Constitution. The court also held that Melaye’s appeal is inchoate as INEC does not need to give reasons for commencing the recall process.